It’s your birthday. Happy birthday to you! English painter, poster designer, print-maker, stage designer and photographer, David Hockney, (OM, CH, RA) was born on 9th July 1937, in Bradford, England, to Laura Beth and Kenneth Hockney. He was educated at Wellington Primary School, Bradford Grammar School, Bradford College of Art and the Royal College of Art in London. An important contributor to the Pop Art movement of the 1960s, Hockney is considered one of the most influential British artists of the 20th century and as a modern-day ‘citizen-of-the-world’ he has moved between Bridlington, East Riding, (Yorks), Kensington, London, Nichols Canyon, Los Angeles, and Santa Monica Boulevard in West Hollywood. His early work involved a series of paintings of swimming pools in an acrylic medium using vibrant colours. Hockney made prints, portraits of friends, and stage designs for the Royal Court Theatre, Glyndebourne, La Scala and the Metropolitan Opera in New York City. He later moved onto a more photographic form of art by taking Polaroid photographs of one subject and arranging them into a grid layout. 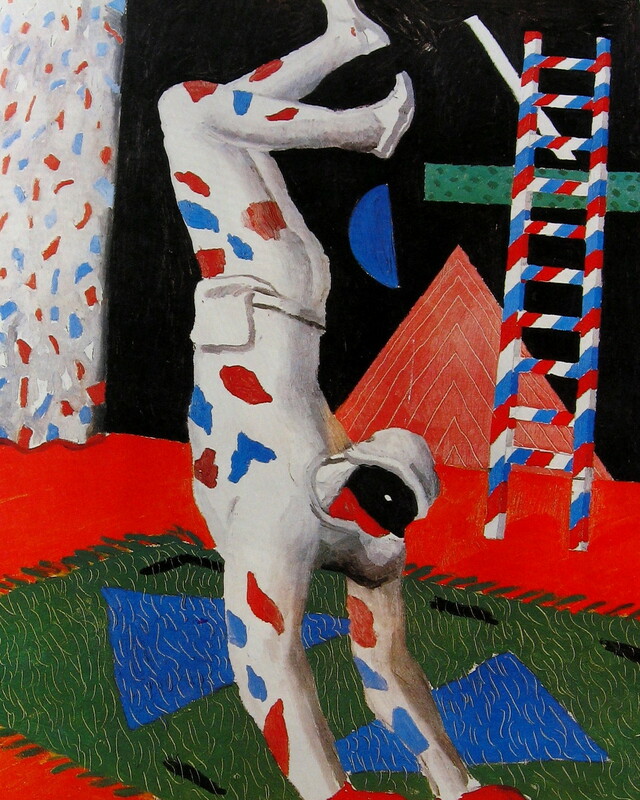 In later works, Hockney changed the technique, moving the camera around the subject and the creation of the “joiners” occurred accidentally. The image above is Hockney’s poster “Parade” created for the Metropolitan Opera, New York 1981. This entry was posted in Gallery Art, Illustrations, Paintings and tagged #PopArt, #PosterArt, David Hockney, Parade. Bookmark the permalink.